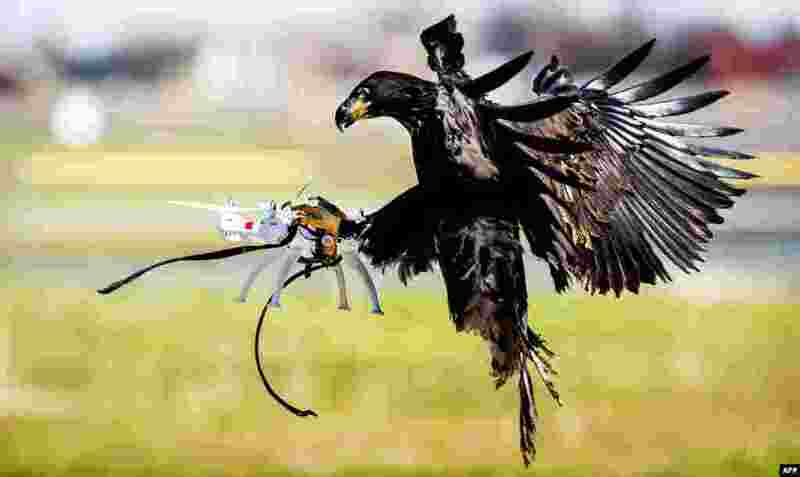 ١ An eagle of the Guard from Above company grasps a drone during a police exercise in Katwijk, the Netherlands. 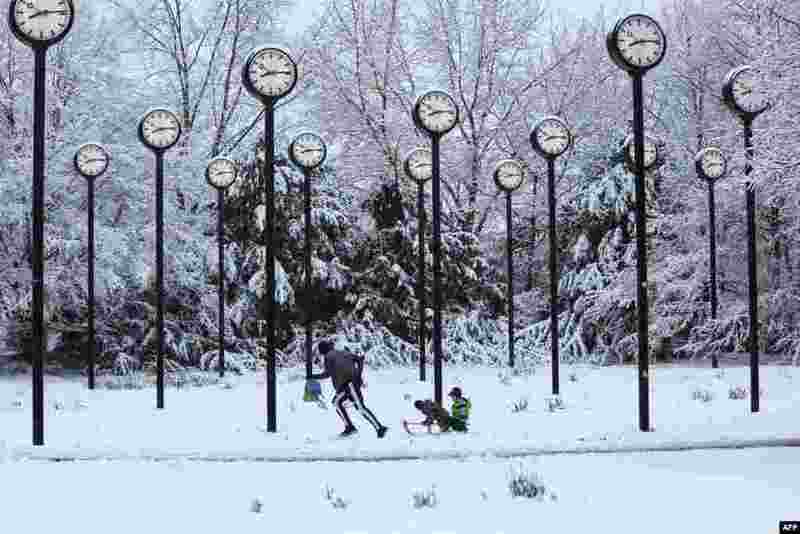 ٢ A man pulls children on a sledge through the snow-covered clock park by artist Klaus Rinke made of 24 station clocks, in Düsseldorf, western Germany. 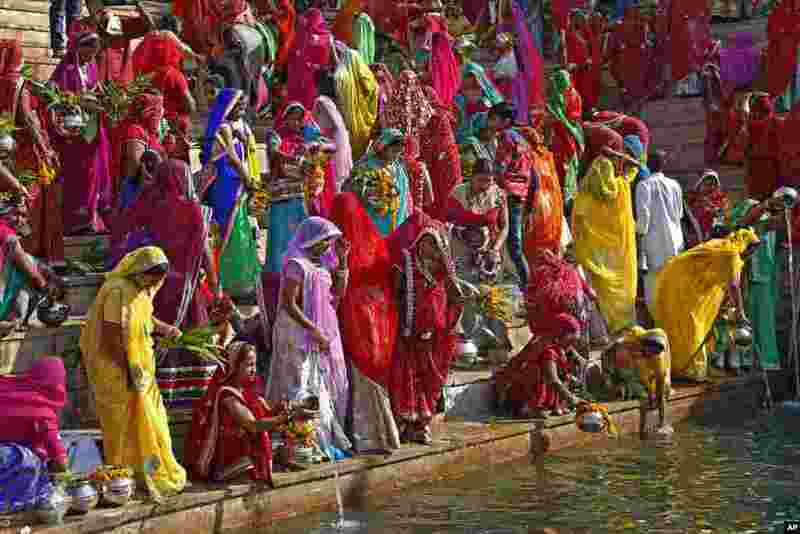 ٣ Hindu women collect water from the Pushkar lake to pour on idols of Lord Shiva, on occasion of Mahashivratri festival in Pushkar. 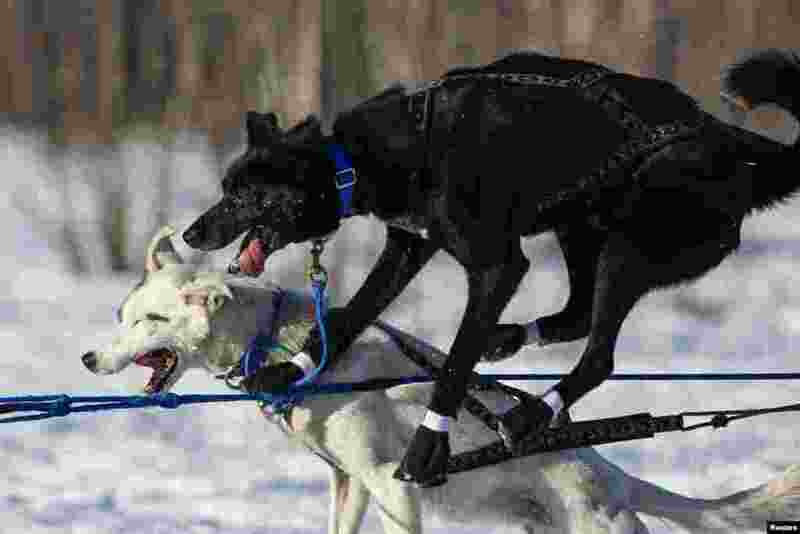 ٤ Martin Koenig's team gets tangled up after leaving the start chute at the Iditarod Trail Sled Dog Race in Willow, Alaska, USA, March 6, 2016.